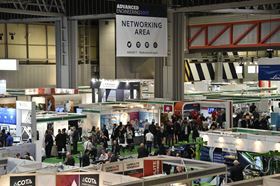 Attendance for the Advanced Engineering show was up 15%. Stall holders included Airbus, Boeing, Jaguar Land Rover, Hexcel, and Dassault Systèmes, with visitors from a range of engineering specialisms including automation, design & test engineering, process control and machining. Products on show included a hydrogen powered car, aircraft landing gear, a battery made 100% from recycled materials, a ground based test rig for electric contra rotating propulsion, and a Libralato hybrid engine. Next year’s show takes place from 31 October-1 November 2018. Composite component manufacturer Rockwood Composites says that it received a 50% increase in visitors at the Advanced Engineering show.